A “study” or “étude” is a short, often considerably difficult, and technically advanced piece designed to help perfect a particular musical skill, such as finger dexterity, octaves, scale passages, balance and tone control, and co-ordination. In the 19th century Fryderyk Chopin elevated the etude from dull student study to concert showpiece, and his Études Op. 10 (1833) and Op. 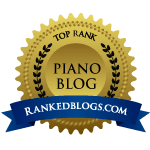 25 (1837) are regarded as some of the finest ever written, and are widely performed by top international pianists. Franz Liszt composed a number of études that were more extensive, and even more complex than Chopin’s, including the famous Transcendental Etudes (final version published in 1852). Pianist Emmanuel Vass plays his own virtuosic transcription/medley of 3 James Bond film themes: Goldfinger, You Only Live Twice and the 007 James Bond theme. This should appeal to all James Bond fans – and those who love the more extrovert/virtuosic elements of the études of Chopin and Liszt…..